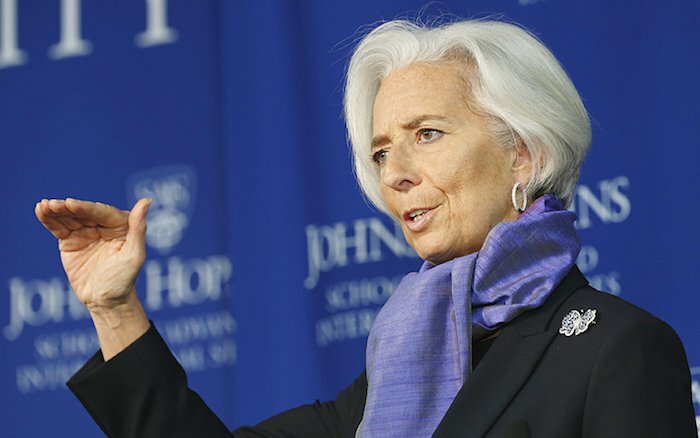 IMF chief Christine Lagarde said on Wednesday that the Fund tried to be a “ruthless truth-teller” in its latest audit of Greece’s economic policies, confirming its clash with Brussels. Speaking at an event at the Atlantic Council, Ms. Lagarde noted that Greece still has a lot of work to do and such differences over whether Greece can meet more ambitious fiscal surplus targets of 3.5 percent of gross domestic product, are more likely due to differing views about Greece’s ability to deliver on fiscal and economic reforms. She also stated that Greece needs to improve its reporting of economic data, but the different estimates of the primary surpluses have nothing to do with transparency. In addition, the IMF chief reiterated that the Greek Government has a long road ahead, and again stood firm on the reforms that have not yet been applied which include further cuts to pension programs and an increase in income taxes.